This week was very scary for me because my sister became ill and was taken to the emergency room. It was a scary time for her and me because we didn’t know what was wrong with her, but found out that she had heat illness and was dehydrated. I’m so happy to tell you that she is back at home and doing well after she was given fluids. However, I felt the need to make some kind of recipe that would help those who dislike drinking water. I know that I’m not big on wanting to drink lots of water and sometimes have to force myself to drink it. With it being so hot outside I think it is very important to stay well hydrated! 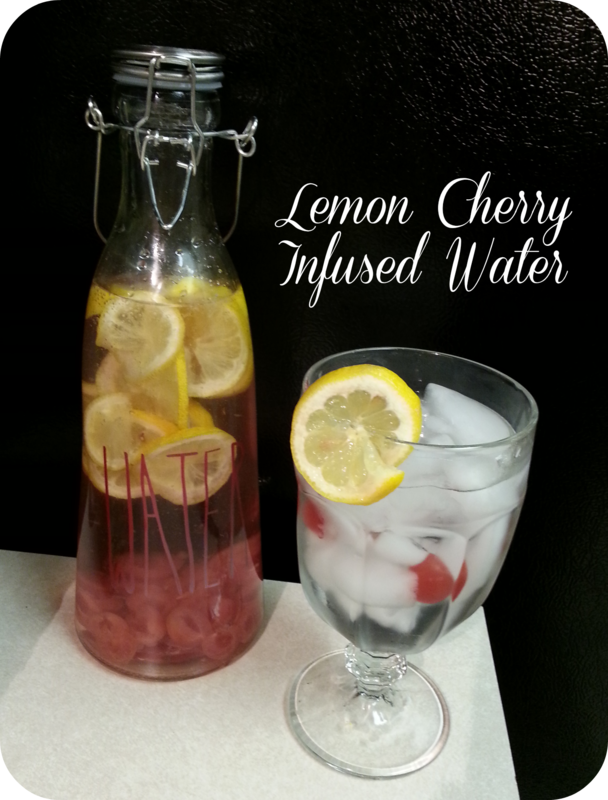 So, this week for the oven free recipe I made a Lemon Cherry Infused Water. It is made only with fruit and water and tastes so good! Remember to drink as much water or infused water as possible to stay well hydrated this summer! Fill a pitcher up with your water. 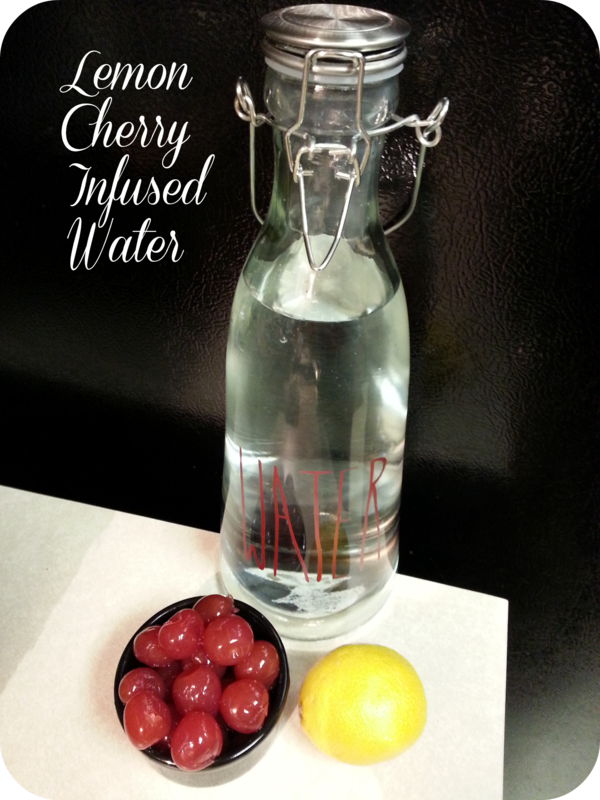 Then cut your cherries in half and add them to the water. Next you want to thinly slice your lemon and add to the water. After the cherries and lemon slices are in the water you want to gentle shake it and then place in your refrigerator for at least 2 hours. Then grab a glass fill it with ice and pour yourself a glass!